Locus Agricultural Solutions provides growers with science-based solutions to address key challenges to agricultural productivity. Data confirms that Locus AG has found an answer to microbial inconsistency through a specialized production and delivery process, which lead to a distribution partnership with Triangle Chemical Company. Locus Agricultural Solutions™ (Locus AG) is celebrating its one-year anniversary since initiating microbial-based soil amendment treatments focused on Florida’s struggling citrus groves. Using a unique cold chain delivery system, results confirm that the company has found an answer to microbial inconsistency through a specialized production and delivery process. The technology innovations, impressive field trial outcomes and extensive grower interest led to treatments on more than 21,000 commercial citrus acres, expansion into additional crops and sod, and an exclusive partnership with Triangle Chemical Company (Triangle CC), which was confirmed last week. Locus AG began Florida field trials in May 2017 using Rhizolizer™, a highly concentrated soil amendment made of a microbial blend that’s manufactured in a proprietary modular fermentation system and delivered quickly via the company’s unique cold chain process. Different than other microbial products, the solution is fermented in small, high-potency batches that arrive fresh to growers—skipping the long distribution process and assuring the highest efficacy possible. Because of the modular fermentation technology, Rhizolizer can also be customized to meet the needs of different regions, crops and soil types. 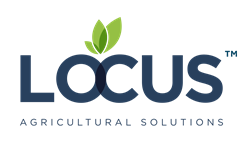 For more information on Locus AG’s microbial product approach, company expansion or new Triangle CC partnership, visit LocusAG.com. For more information on Rhizolizer sales and Triangle CC’s distribution, visit TriangleCC.com.